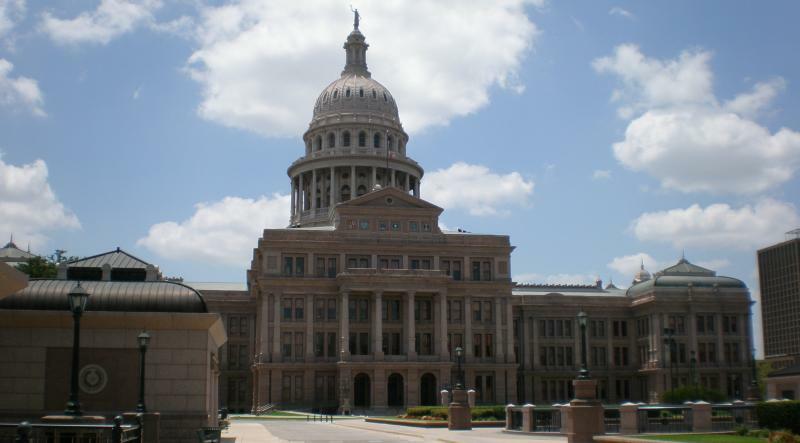 The University of Texas system has informed employees that several health insurance decisions are being put on hold while the Texas legislature tries to figure out how much money its willing to spend on higher education in the next budget. The letter was followed by an e-mail to those in the UT System highlighting the immediate delays. 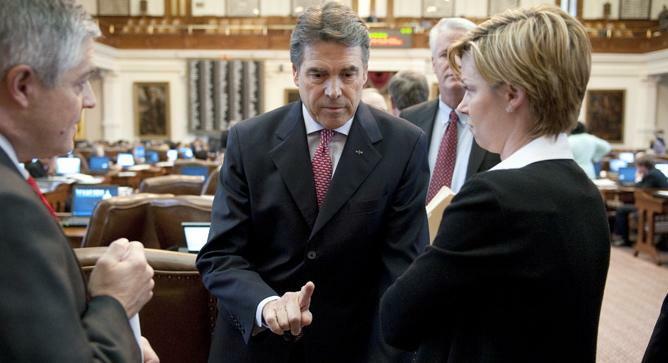 Why Doesn't Anyone Believe Rick Perry When He Says He's Not Running? It’s Rick Perry versus the nincompoops. That’s not a slap at the rest of the Republican field, but at the political chatterers who just can’t or won’t believe the Texas governor when he says he doesn’t want to run for president. Nobody believes him, which makes it easier for some to contend that he is making a grab at the highest political office in the land. Never mind that Perry has said repeatedly, and pretty darn emphatically, that he won’t mount a White House bid next year. He's enjoying another little boomlet lately, what with fomer U.S. House Speaker Newt Gingrich’s troubles and the somewhat surprising exit from the race by former Arkansas Governor Mike Huckabee, who might have courted some of the same folks Perry could rally. Gov. Rick Perry said Thursday he has been "kind of pushing people" to come together on a Texas state budget that would make significant cuts to public education. The governor, speaking to reporters outside a ballroom at the Four Seasons Hotel, said legislative leaders were moving toward a deal that would avoid a special session. "I don't want to finalize the budget in here with you all — the House and the Senate are going to be who makes the final decision but we're very, very close," he said. "There always is a lot of emotions and what have you, and I've yet to see the perfect budget written," he said. "I'm optimistic at the end of the day, the 30th of May, the 31st of May, that we'll have a budget. At this morning's TribLive conversation, state Rep. Sylvester Turner, D-Houston, warned his House Republican colleagues about overreaching in exercising their supermajority power. 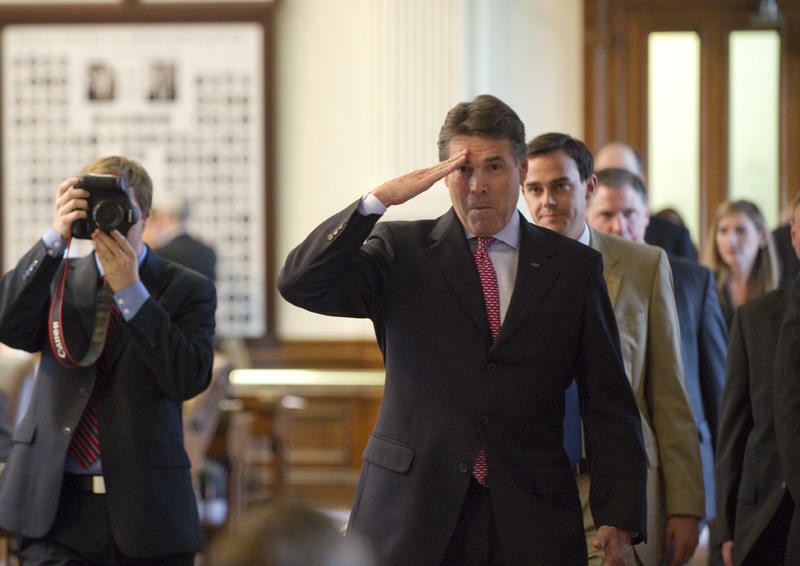 It’s a perennial rumor that refuses to go away, and now Real Clear Politics is fanning the flames of speculation citing three unnamed sources who say Texas Governor Rick Perry’s campaign for the Republican presidential nomination is gathering momentum. Texas Comptroller Susan Combs gave the state's couches a good search and has come up with an extra $1.2 billion to spend in the next budget biennium. The increase in funds available for the 2012-2013 budget was based on what her office considers is a strengthening economy. That increase will also send an extra $300 million to the state's so called Rainy Day fund. 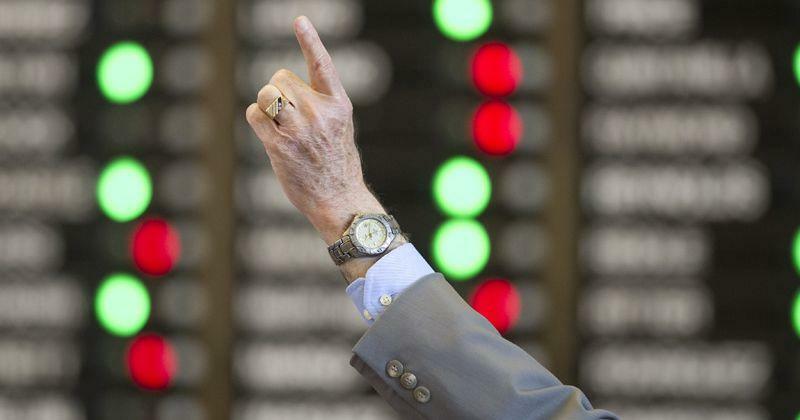 The Senate has given initial approval of a Senate redistricting map. The debate yielded little change to the committee substitute to SB 31. The only amendment adopted would make a small change to Travis County. It's all done. 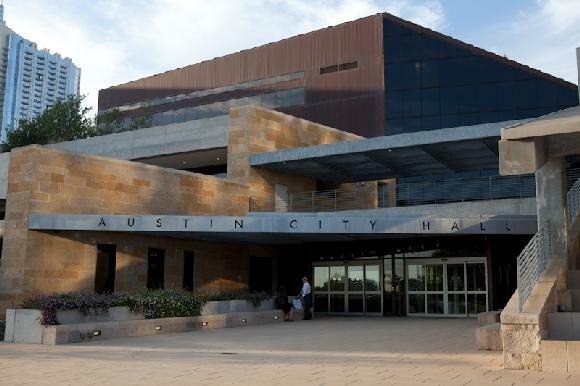 Two incumbents are reelected to the Austin City Council. 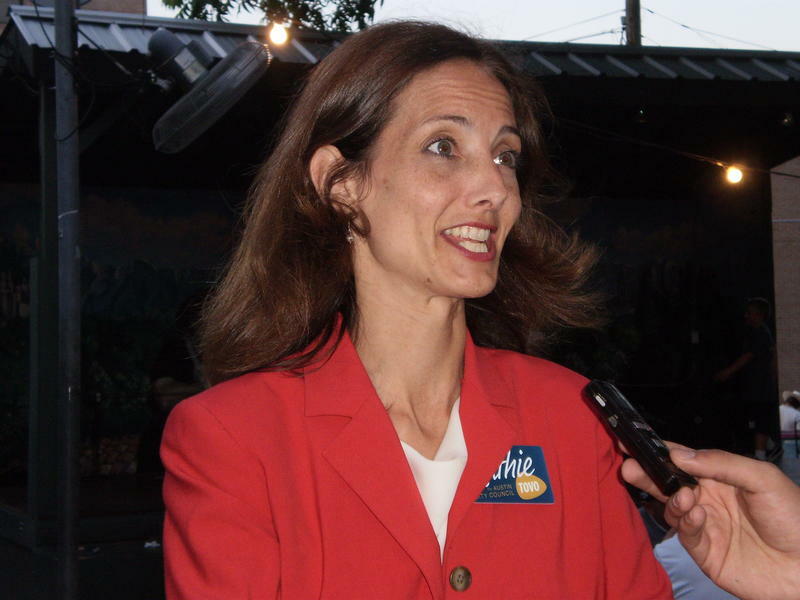 A third officeholder, Randi Shade, will face challenger Kathie Tovo in a June runoff election. Here's the lowdown from the City of Austin. City of Austin voters selected two Council Members today, May 14, in Places 1 and 4, based on unofficial results. The latest local election results tonight show turnout at 7.27%, but it was enough to send two incumbents back to the Austin City Council. The third incumbent appears headed to a runoff. Chris Riley pulled 65% of the vote, with 100% of precincts counted, easily outdistancing three challengers for Place One. Laura Morrison hit 70% in the first printout tonight and only expanded her lead in the three-way race for Place Four. She finished with just shy of 73% of the vote. 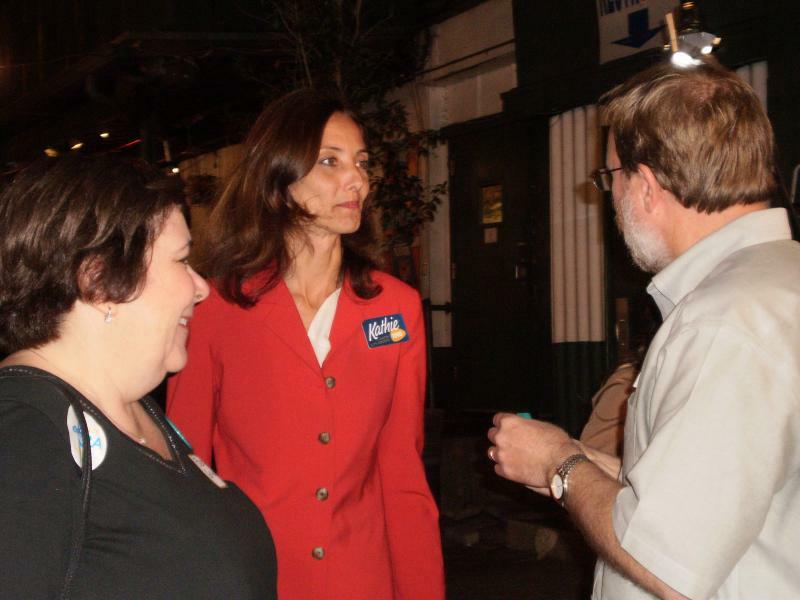 Challenger Kathie Tovo has widened her lead over incumbent Randi Shade in the latest results for Austin's city elections. As of 9:20 p.m., Tovo is getting 46% of the vote, while Shade has fallen to 32% support. Max Nofziger is drawing 15% in the four-way race for Place Three on the council. If a runoff is needed to settle the race, it would be held June 18. Two Austin City Council Members appear to be cruising to victory in today's local election, while a third council member may be in some trouble. 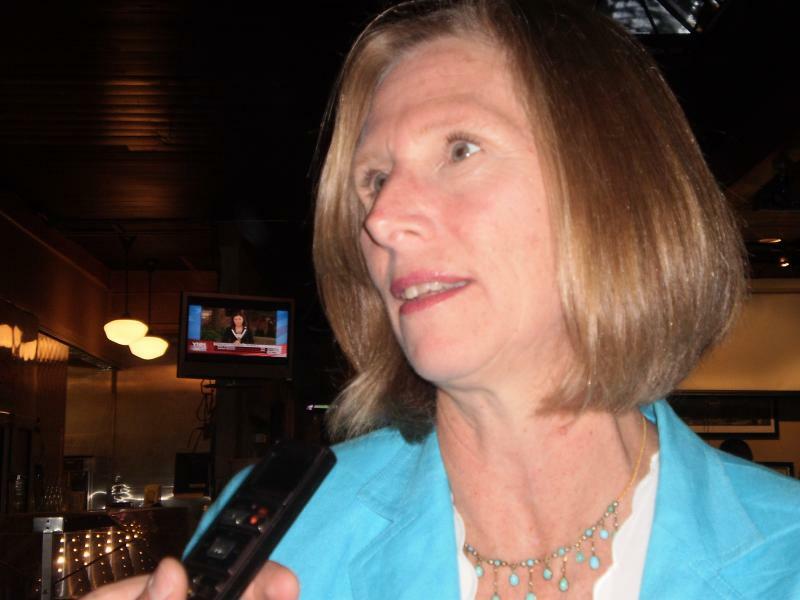 Laura Morrison appears to have easily won reelection in local voting Saturday. Morrison, looking for a second three-year term on the council, is pulling 71% of the vote over two challengers. On Election Night, to quote Tom Petty, "The waiting is the hardest part." Early voting results for today's local elections came out shortly after 7:00 p.m., but there haven't been any since then. As soon as they're available, you'll see them here. Voting Results at 7:30 p.m. Polls closed in Central Texas about a half-hour ago, and the first results are in. Austin voters are deciding on three city council races. In Place 1: Incumbent Chris Riley is leading three opponents in a bid for his first full term on the council. Riley is polling 64 percent in early results. He was elected two years ago to fill out Lee Leffingwell's term on the council, when Leffingwell was elected mayor. The Texas Senate will consider a bill that would ban public servants from touching people in otherwise private areas of the body during a pat-down search. 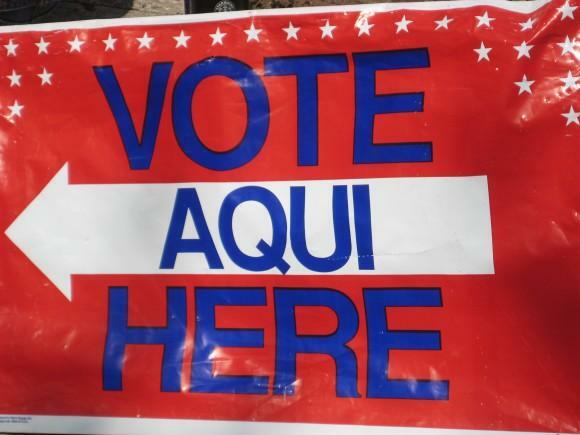 Polls are open for local elections around Central Texas. In Travis County, six cities are electing council members; six school districts and an emergency services district are electing board members. People love to complain about city government, but only about ten percent or less of eligible voters cast ballots in municipal elections. That's partly because they have no idea who the candidates are or what they stand for. Here are the answers to those questions. Just in case you didn't know, last night was the final night for the Texas House to pass House bills on second reading. That killed (mostly) any bills that didn't get up by then. And there were thousands of bills killed when the clock struck midnight. Now the House is on to debating House bills on third reading. Passing there sends a bill on to the Senate. The House also a few days left to consider Senate bills. There are upcoming deadlines on those bills too but watching the debate today, you'd never know anyone was in a rush. The Senate redistricting committee met today to hear public testimony on a new proposed Senate map. 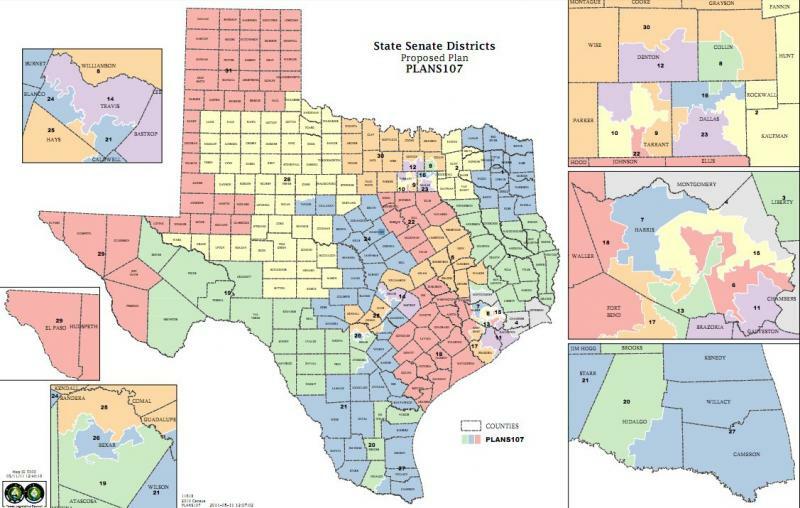 The new boundaries will likely change the political makeup of several districts. Senator Wendy Davis (D-Fort Worth) argued that the new map breaks apart districts populated by minority voters and violates the Voting Rights Act. Davis said that a black voting block in southeast Fort Worth and Hispanic voters in the northern part of District 10 would be broken apart. 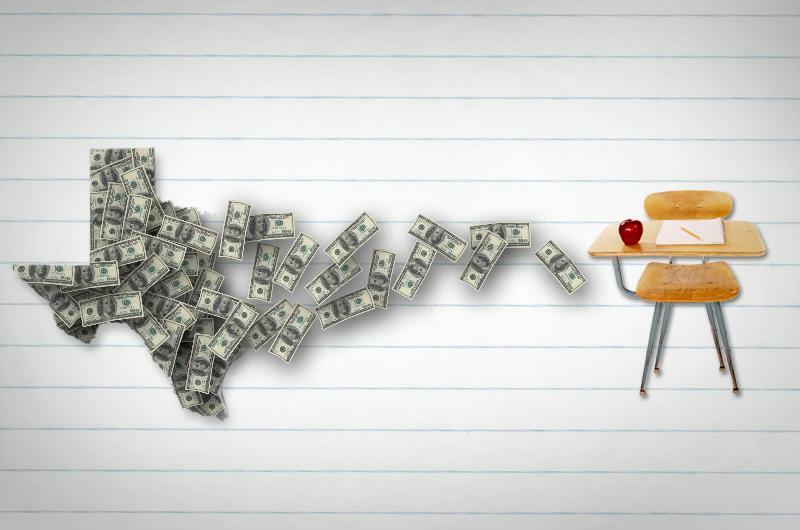 What If Texas Doesn't Pass a School Finance Bill? Nobody wanted to think about it in January. But as the middle of May approaches, with little more than two weeks left of the 82nd legislative session, a growing chorus of voices is asking: What happens if lawmakers can’t agree on school finance reform? 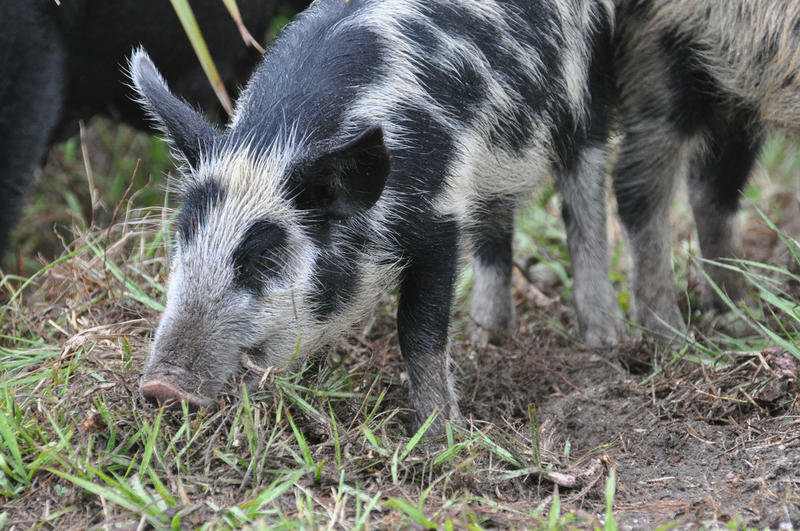 Farmers are already allowed to fire up a helicopter and gun down feral hogs tearing up their property. But a bill is now headed to the Governor's desk that will allow property owners to rent out seats in helicopters to anyone willing to pay for the privilege of hunting wild pork from the sky. 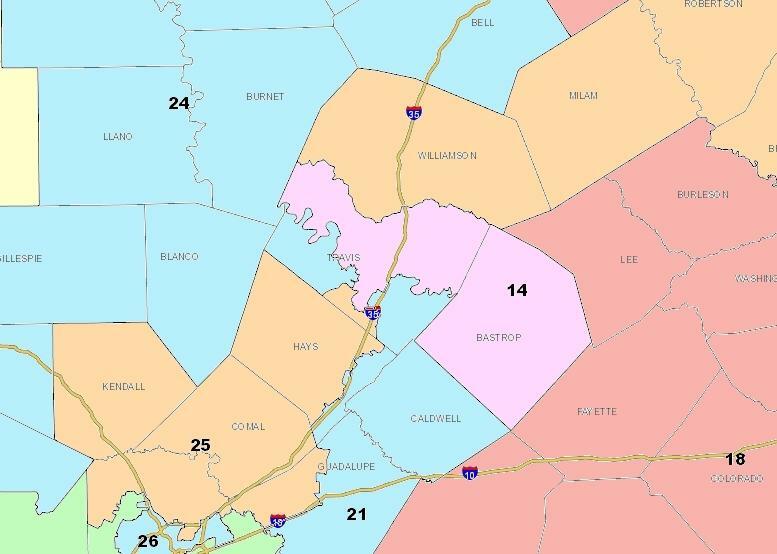 Travis County's influence on state politics would be watered down in a proposed redistricting map proposed by Senate Redistricting Chairman Kel Seliger (R-Amarillo). The county would be sliced four ways in the redistricting map for the state senate, with each quadrant rolling into more politically conservative counties that surround it. After dining with President Obama at a private fundraiser in West Lake Hills last night, Planned Parenthood's national President Cecile Richards was at the State Capitol this morning to rail against a lstate bill that would limit state funding for services provided by her organization. "We are absolutely committed to ensuring that women in Texas can continue to receive services from Planned Parenthood for basic preventive care," Richards said during a news conference in the Senate Press Room. 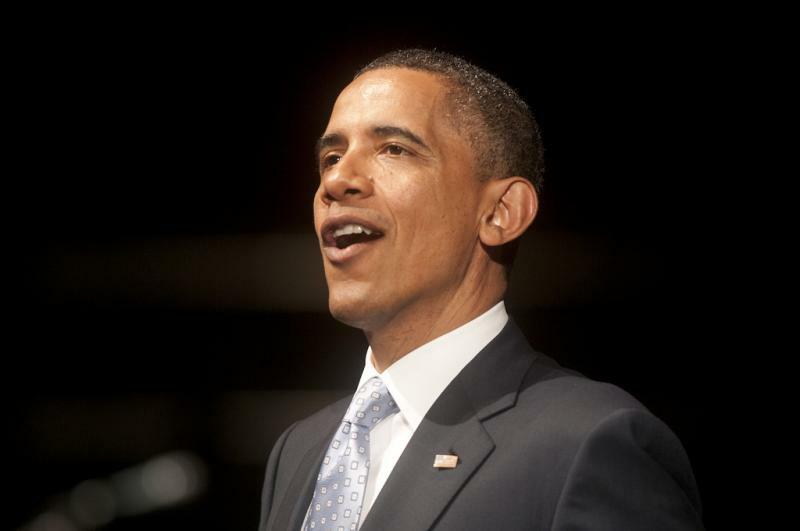 In case you slept through yesterday, here's a round up of President Obama's visit to Austin. Photo by Jeff Heimsath for KUT News. President Obama breezed through Austin, speaking before a packed house at the Austin City Limits Moody Theatre before appearing at a private fundraiser in a West Austin home. 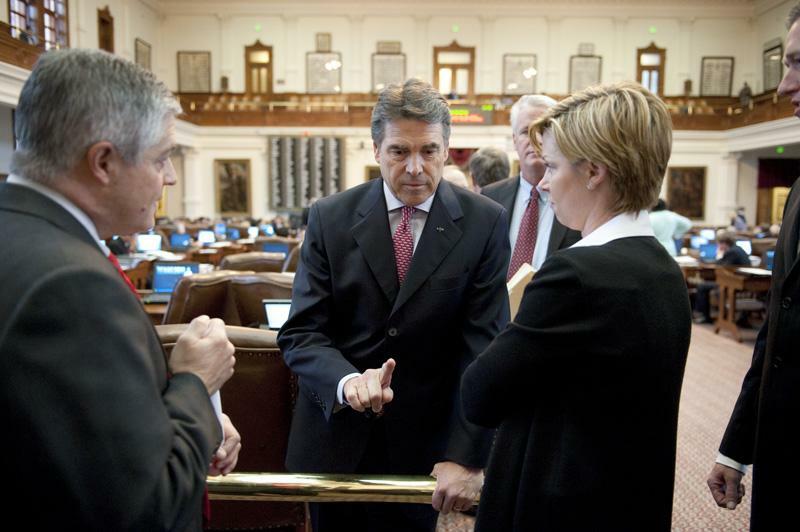 Our political reporting partner, the Texas Tribune captured the day in words. Here are some photos of the President's visit to Austin today taken by Jeff Heimsath for KUT News. 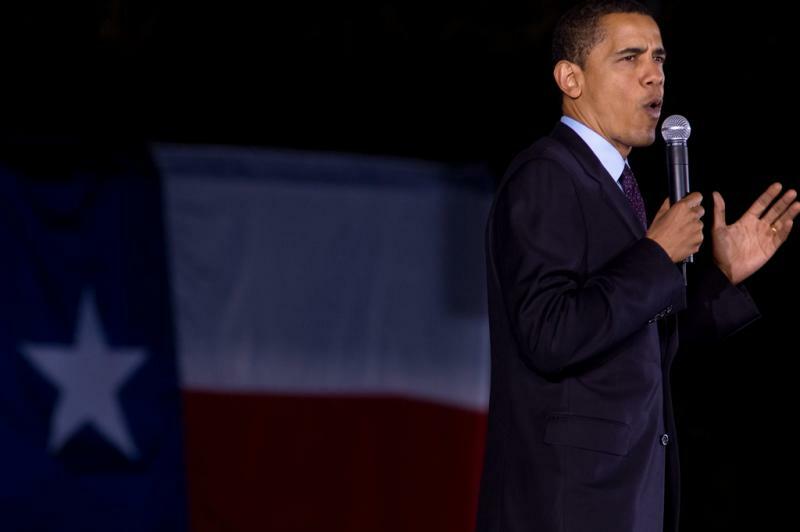 UPDATE 6:10 p.m. President Obama wrapped up his remarks before an enthusiastic audience in downtown Austin. 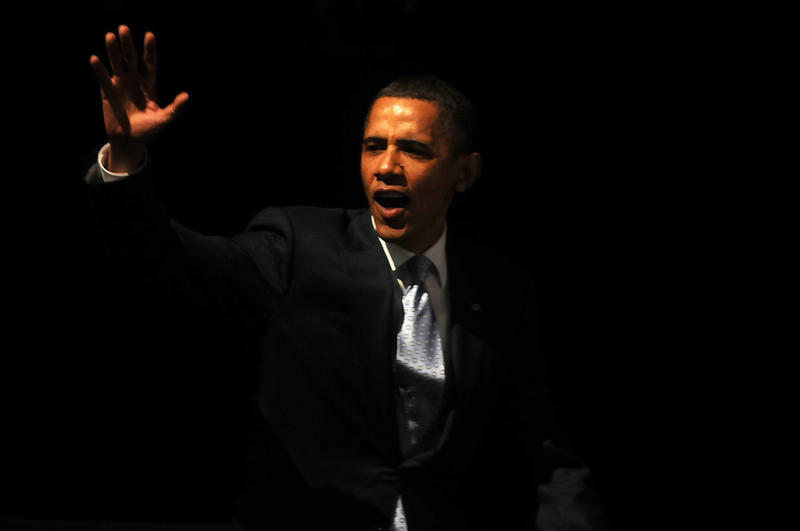 The President extolled the crowd to help him get his reelection campaign off the ground, as well as cataloging the accomplishments of his administration. He's off to a private fundraiser in a West Austin home before flying back to Washington, DC tonight. President Obama is speaking right now to a packed crowd at the Moody Theatre in downtown Austin. Photo by Jeff Heimsath for KUT. Governor Perry and President Obama aren't meeting during Obama's visit to Texas today. And, perhaps not surprisingly, each side is blaming the other. The White House says Perry refused to meet the President in El Paso earlier today. The Associated Press reports Perry's office said Obama declined an invitation to tour areas of the state scorched by wildfire or to meet in Austin. President Obama is delivering remarks on immigration now in El Paso. 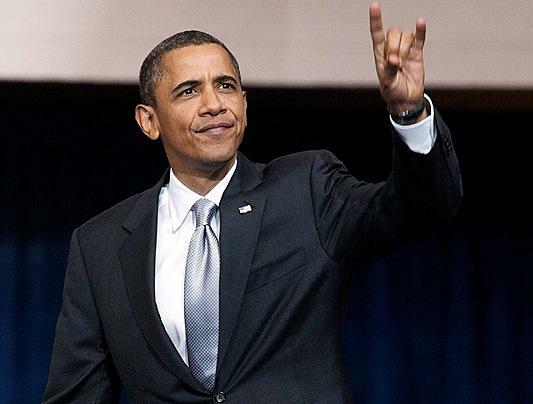 Afterward, the President will travel to Austin for two fundraising appearances.